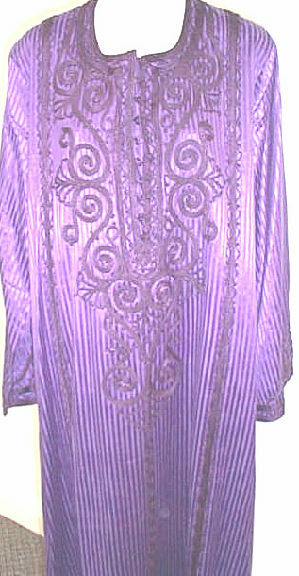 This Silk look Cotton Color on Color subtly striped caftan with same color machine and hand soutache has a wonderful silky shine. Very comfortable and stylish. Made in <?xml:namespace prefix = st1 ns = "urn:schemas-microsoft-com:office:smarttags" />Egypt. Check with us for colors in stock the day you order.